Cory always has a way of lightening the mood in the midst of something unpleasant. After one of my many recent coughing/gasping for air fits he put on a very serious face, nodded, and said: “Well, you’ve got a broken squeaker. You’ll have to get that fixed.” Toy Story 2 clearly and adorably illustrates how real the struggle is. Today I had an appointment with radiology to fix my broken squeaker otherwise known as pleural effusion. 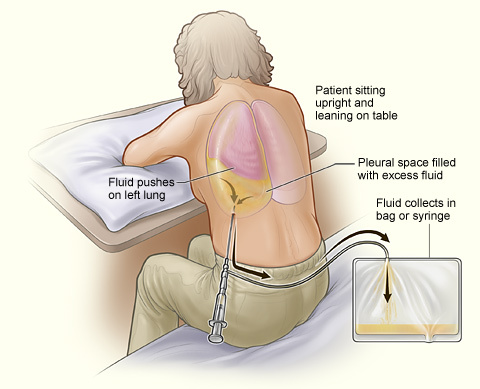 Pleural effusion is when fluid collects between the chest wall and lungs. In my case, tumors are the cause of this fluid buildup. The medical term for “fixing a broken squeaker” is a thoracentesis. First, an ultrasound technician came in and did an ultrasound of my left lung. Since I had to face away from the screen she was kind enough to freeze frame it so I could see the fluid pocket. I blankly stared at the ultrasound for a minute because all I saw was a tiny part of my lung then a whole mess of blank black space. It turns out that all of the black space was the fluid. Whoops. There were a lot of people in this tiny room. We had two PA’s, an ultrasound tech, and a medical imaging student observing. They were all very kind and supportive but I was still pretty nervous. Once everyone was in their places the actual procedure did not take especially long but it SUCKED. First the PA inserted a needle between my rib cage and injected me with lidocaine to numb the area. The needle itself was fine, just a pinch, but the pressure of the needle in my back didn’t feel great. I started to get even more nervous after they numbed me and I cried, of course, because I’m a big cry baby. After that they made a small incision and inserted a catheter into my back. Once we started draining the fluid I was a little more at ease. There was a jar next to me and I sat and watched while it filled to the brim with yellowish/brown fluid. They then removed the catheter and put a bandage on the drain site. This next part I was warned about but it was still incredibly unsettling. Once the fluid was drained I began to cough quite a bit and I felt immense pressure in my chest when I tried to inhale. This was probably the most uncomfortable/scariest part for me. I was coughing and coughing and had a really hard time catching my breath. The medical imaging student coached me through my tears/coughs and got me back into the rhythm of breathing through my nose and out of my mouth in small breaths. The reason this happens is because the lung has been compressed with fluid for so long and once the fluid is removed the lung will be able to slowly fill with air. This creates a lot of chest pressure and discomfort until the lung is again fully inflated. The end result of today’s thoracentesis was an extraction of ONE LITER of fluid. That’s right, a liter on my left side only. They didn’t even drain the right side. According to the National Heart, Lung and Blood institute there should be about 4 table spoons of fluid in that cavity. Yikes. Thank goodness it’s all done with. Now I can take a fuller breath and hopefully will sleep easier without so much pressure on my lungs. On Friday I will be meeting with Dr. Robison to review the next series of treatment plan options. I’m looking forward to getting this in motion so we can start to crush this cancer again. On a much brighter note I must acknowledge the fabulous weekend I had. In anticipation of the thoracentesis and finding a new treatment plan I’ve been pretty on edge. This weekend I was able to kick back and relax in good company. Cory came down on Friday night for dinner and we had a nice low-key evening after a very long week. The next day Jac came to visit so we picked her up at the train station and had lunch together so her and Cory could finally meet. The rest of the weekend was strictly girl time: mani/pedi’s, tea, burritos, a drag show, brunch, and a walk by the Bristol Harbor water front. All in all, it was exactly what I needed to take my mind off of my (now-fixed) squeaker. Also, A LITER?! Holy crap! No wonder you were experiencing “shortness of breath”. 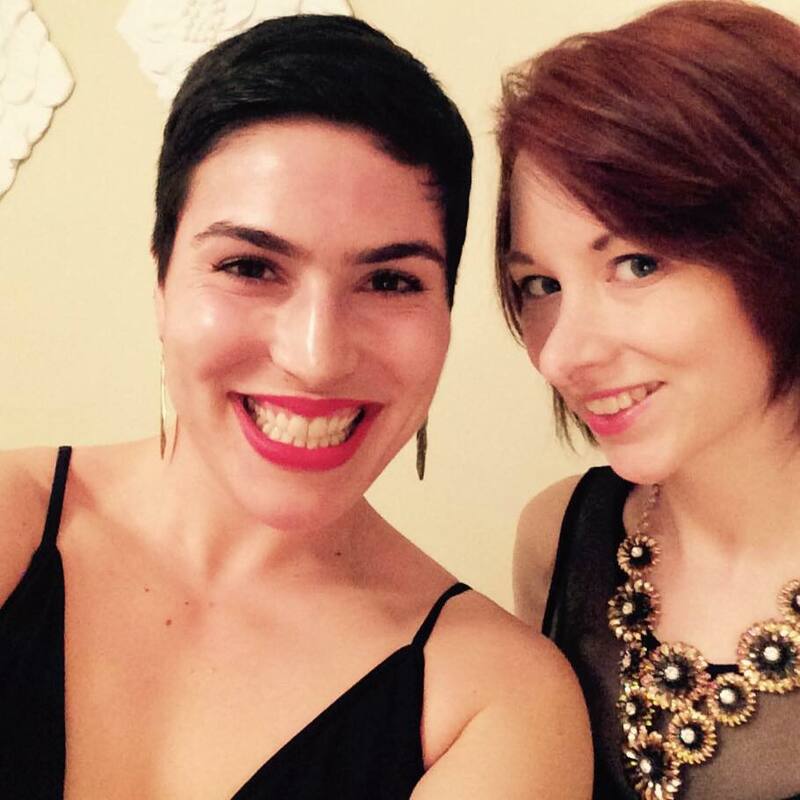 Shortness… right. I guess “longness of breath” isn’t a thing. That wouldn’t make sense. But seriously… a LITER. Wow. Thanks Jess! Cory is definitely a catch. I am so lucky to have scooped him up a year ago 🙂 But seriously a liter! And they can only drain one side per day (in case there are complications we need at least one good lung). So who knows what is still hanging around the right side. Not as much according to the CT scan but it may dry up when I start a new treatment. I hope you’re well love! Haha I don’t know about med school! I’ve already earned my honorary MD through the school of hard knocks. I will be sure to say hi to Cory for you! Sending my love to you both! Jess you are such an inspiration. The way you handle this battle with such strength and humor is commendable. As a nurse, reading your blog is a humbling experience. It helps me see patients in a much different light. I hope you know how many lives you touch with just your words- you are a beautiful person. Sending positive vibes your way always.